Avocados are one of the only fruits that contain healthy, monounsaturated fats,Lori Zanini, R.D., a California-based dietitian and spokesperson for the Association of Nutrition and Dietetics, tells SELF. “Including healthy fats in our meals during our day is important in order to keep us full and satisfied after meals, since fats take longer to digest than carbohydrates or proteins,” Zanini says. The majority of the fats in avocado are monounsaturated, which are lauded for having anti-inflammatory benefits and for helping to lower cholesterol and reduce the risk of heart disease. Some research also shows that healthy fat can positively impact insulin levels and blood sugar and reduce the risk of type 2 diabetes. 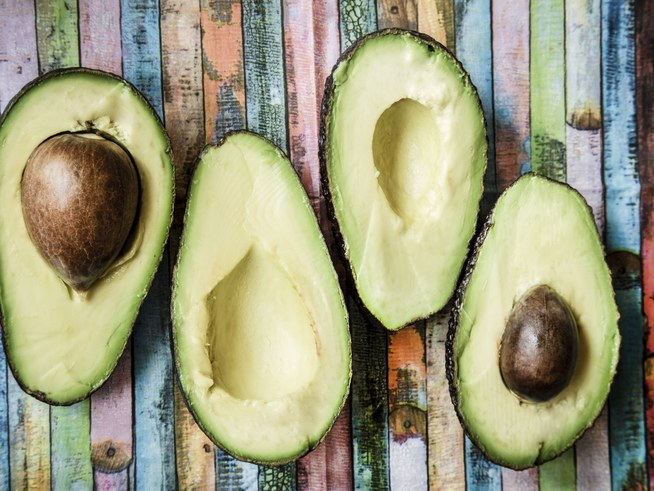 “Additionally, avocados are naturally sodium and cholesterol free,” Zanini adds. Folate: Promotes healthy cell and tissue development. It’s also essential for proper brain and spine growth in a developing fetus, so is especially important for pregnant women (it’s actually recommended that all women of reproductive age take a folate supplement). Zanini says it’s also important for preventing one type of anemia.